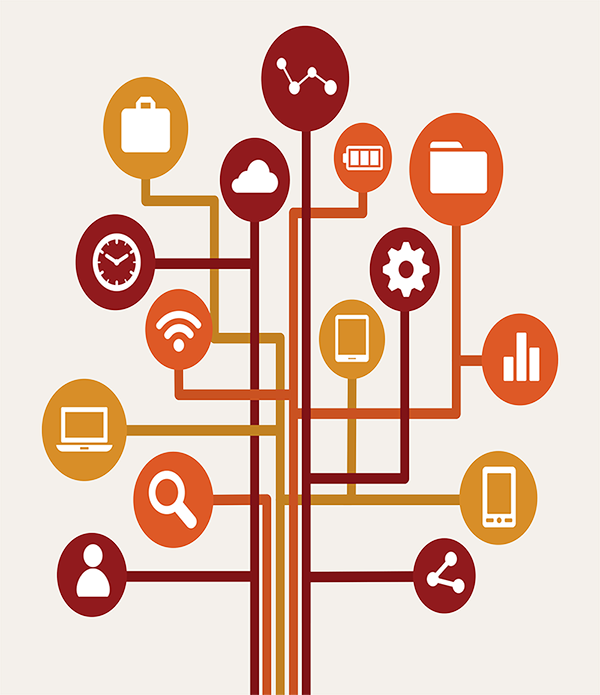 Document delivery and fax software. It delivers the most reliable and robust fax software solutions to integrate and automate the flow of a full range of fax, paper and electronic documents and data, enabling enterprises to achieve significant cost reductions. 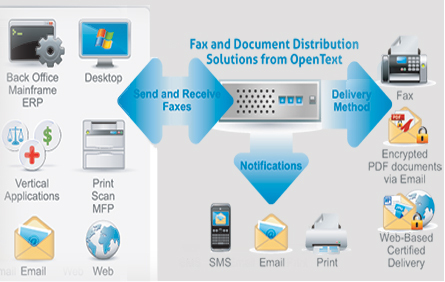 By using Open Text Fax Server, companies can securely and efficiently deliver business information from virtually any application via fax, email, print devices or over the Internet. While the move to Voice over IP (VoIP) is in full swing, organizations often overlook an important part of the IP movement: Fax over IP (FoIP), faxing in an IP environment. When does FoIP make sense? How long does it take you to send an email with an attachment? You can do the same with fax from that same email application. It is sent from within any email application, AS A FAX, to any fax machine around the world. And it’s transmitted without the risk of hackers, viruses, or malicious spyware. 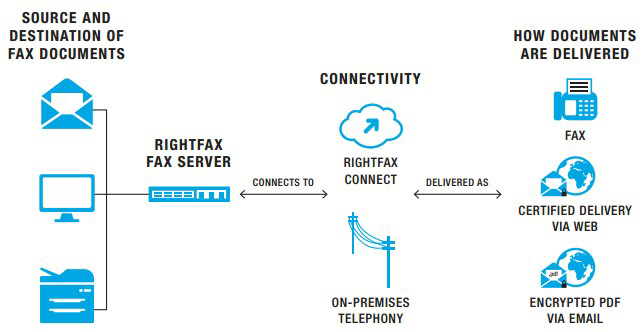 Faxes are sent from email securely and quickly, and you only have to literally lift a finger. Integrate your MFP with RightFax to save money and boost employee efficiency by creating a personalized fax experience at every device. Organizations of every size integrate RightFax with MFP devices – whether it’s a single MFP or an entire global fleet of MFPs. 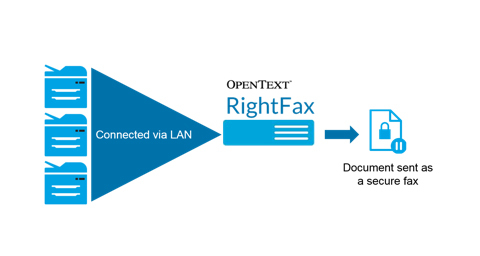 With two types of integration methods, RightFax provides organizations a choice of how to integrate their MFP devices with RightFax.